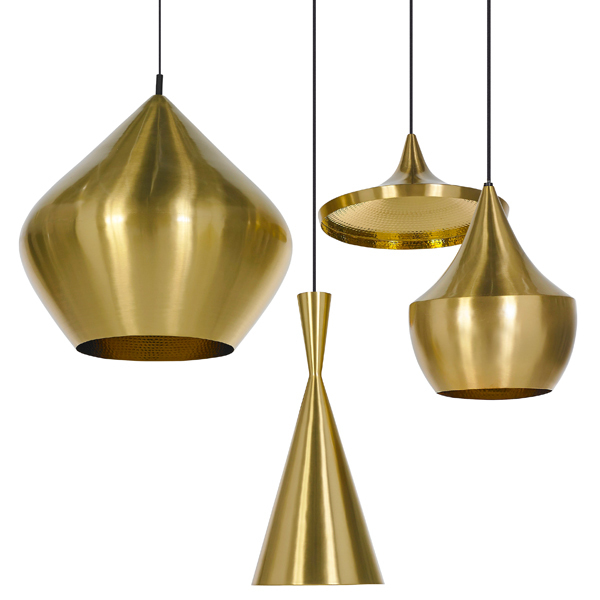 Tom Dixon's Beat Light Fat is a member of the sculptural lighting collection inspired by traditional Indian water vessels. 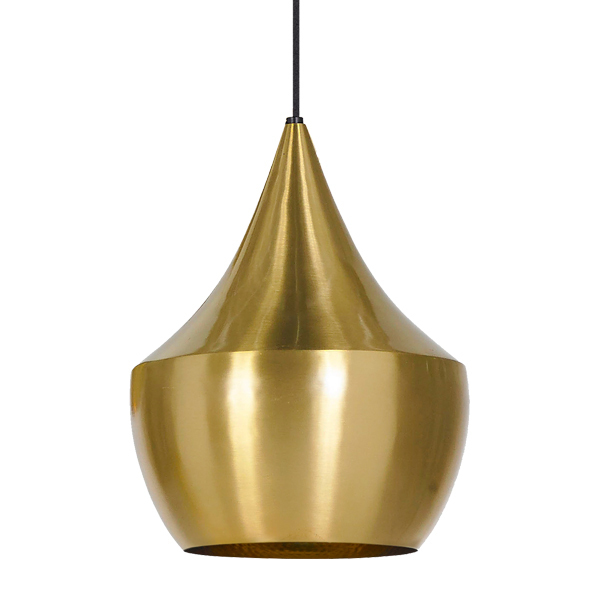 Handcrafted of solid brass by local artisans in Northern India, the elegant pendants have a smooth exterior in black, white or brass and their interior is defined by golden sheen and a unique hammering pattern. Hang a single Beat light above your dining table or in the living room or create an eye-catching cluster of several various pendants.